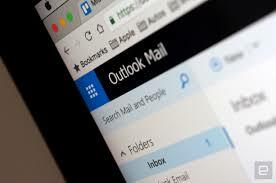 Microsoft is bringing Outlook.com premium features like no ads to its Office 365 subscribers today. The software giant is killing its separate Outlook.com Premium service ($49.95 per year) as a result. So if you want ad-free Outlook.com you’ll now need to subscribe to Office 365. If you’re already subscribed then the changes are automatic starting today, and the features are all part of Office 365 now. Ad-free browsing of the new premium is the biggest feature. But Office 365 subscribers will also get more mailbox storage. All Office 365 Home and Personal subscribers will be upgraded to 50GB of mailbox storage space if they’re already using 12GB or more. Microsoft is also including better malware scanning security, and free technical support for Outlook.com email accounts. If you share an Office 365 Home subscription then every member will get these new benefits starting today.